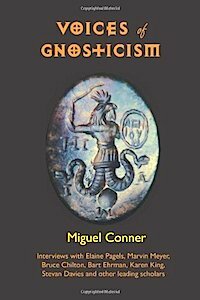 For several years, Miguel Conner has engaged the most prominent writers and scholars on Gnosticism and early Christianity on Aeon Byte Gnostic Radio. 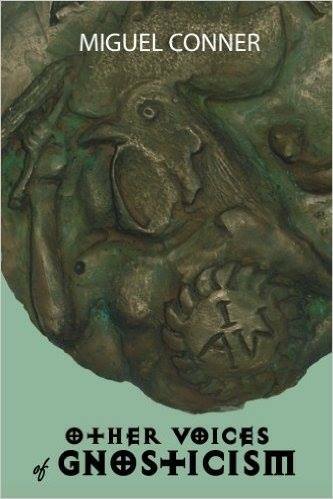 The acclaimed Voices of Gnosticism collected interviews with academic scholars of Gnosticism. You are holding in your hands a Gnostic gem, a book that contains the rich wisdom of thirteen world-renowned scholars who study Gnosticism and the classical world. Gets at the Gnostics as they were, not as many people today would like them to be. Aeon Byte is one of the most exciting and far-seeing programs in the world of Webcasting. A great help to all who possess an interest in and/or devotion to the Gnostic tradition. Warmly recommended! Five hundred years ago the Stargazers, let by their immortal MoonQueen, sparked global nuclear war, blotted out the sun, conquered the world, and rewrote history. Now humans are cattle whose blood feeds the master race, the glorious rulers of high-tech cities. And no one calls Stargazers by their true name. Yet some impulse is stirring in the slave farms, an echo of a forgotten pride. Byron, a rebellious young Stargazer, is assigned to investigate the’Warm One’s–in other words, destroy any threat. But when a beautiful human shaman shows him unbelievable truths about his past, his origin,and his destiny, a vampire will discover that his immortal enemy is his living Goddess, The MoonQueen. Conner creates an inexplicably touching hero both as man and monster. 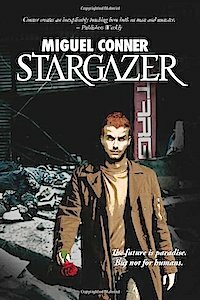 For me, there are only two classic vampire novels: Bram Stoker’s Dracula and Anne Rice’s Interview with the Vampire…now comes Conner’s Stargazer which deserves so much of our attention for all the differences it brings into the genre. Classic vampire mythology redefined in the most exciting and original way. Science fiction at its finest! 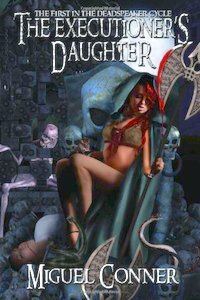 If like me, you’re an avid fan of the vampire race, you must not miss this first time novel. Miguel’s notion is so stark and disturbing that it will stay with you for a long time. The Stargazer capital Xanadu has been destroyed. The immortal ruler of vampires, The MoonQueen, has been vanquished. Humanity has been liberated after a brutal revolution. 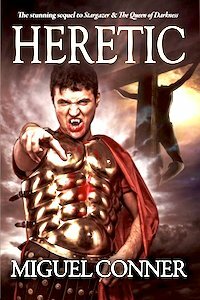 The source of all of this is the dark heroism of Byron Solsbury, prophesized Liberator and Stargazer Heretic. Accompanied by his ally Proxos and soul mate Medea, Byron will risk radioactive wastelands and its horrors in a quest to infiltrate New Atlantis, the last remaining Stargazer city. The reasons are twofold: to find the cure for the Killer of Giants—the only disease harmful to vampires—that has mortally infected Medea; and to oversee the destruction of the metropolis and end the Stargazer Empire once and for all. Within this high-tech structure, Byron will encounter the dreaded Forgotten-vampires that were never human to begin with, as well as their godly allies. It will take all of his skills to counter their razor agendas. Eventually he must face the ruler of New Atlantis—the greatest Stargazer who ever walked Heaven and Earth—and realize that their grim destinies have been intertwined since before the rise of the vampires. He is known as The Prince of Shadows or simply The Centurion. And he once drank the blood of a god incarnate on Earth, and gained the powers of infinity. As fate unravels before him like a bloody tapestry, Byron Solsbury will realize that not only Earth hangs in the balance…but reality itself. Then the youthful Tendrik Partaghast is newly crowned, while the aging executioner Mateoz knows his time grows short. The balance of power is suddenly tilted when the Deadspeaker breaks the covenant with mankind by choosing his own newborn daughter as the successor of Afterglow. This unprecedented heresy sows the seeds of revolution from long-resentful royal Houses and an opportunistic clergy. Worse, the broken pact invites foes in the form of arcane necromancers, barbarian hordes, and forgotten gods. Heroic forces also arise to counter the emerging bloodshed and chaos, most notably a long-banned knight class led by Aron Durmyr, the Knight of Swords. The ambitious yet untested King Tendrik realizes that a shift of ages has arrived and begins his own machination, not least to eliminate the executioner’s child… King and Deadspeaker are drawn into the same esoteric rivalry between Forethought and Afterglow that has raged since the beginning of time.